Advice on engine frame please! #1 Advice on engine frame please! All else is fine. They are suggesting that a new frame is necessary, although they don't seem to think it's urgent. They don't seem to think welding is a solution. But why not? Surely the frames were welded in the first place? 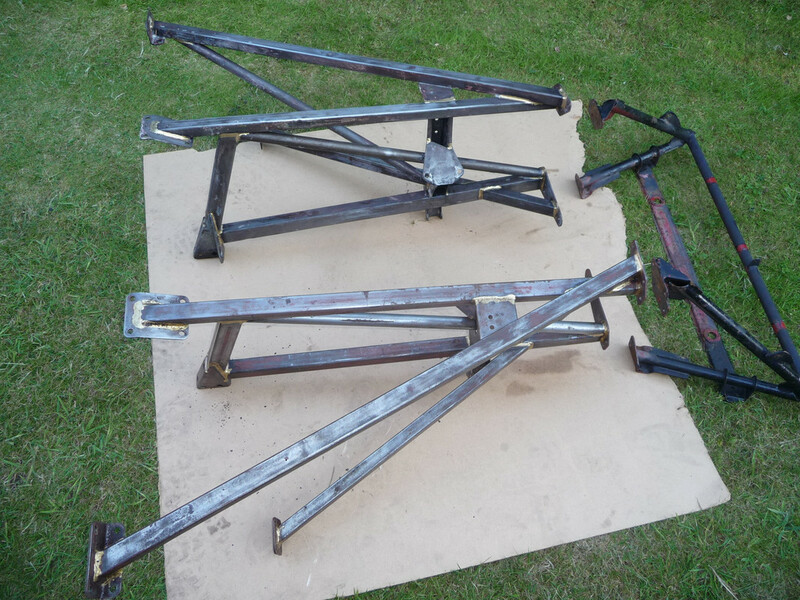 What are your views - weld, or a new frame? The frame is c. £1000 plus V.A.T (robey frame iis cheaper but not as good) and there would be a lot of labour costs, so not cheap for a new frame. #2 Re: Advice on engine frame please! New frames. I would recommend replacing both sides if they are both of the same vintage. Lots of info regarding welding these frames is available if you search it out. That is a disaster waiting to happen! #3 Re: Advice on engine frame please! OK, thanks Angus. Just the advice I didn't want, but needed! #4 Re: Advice on engine frame please! 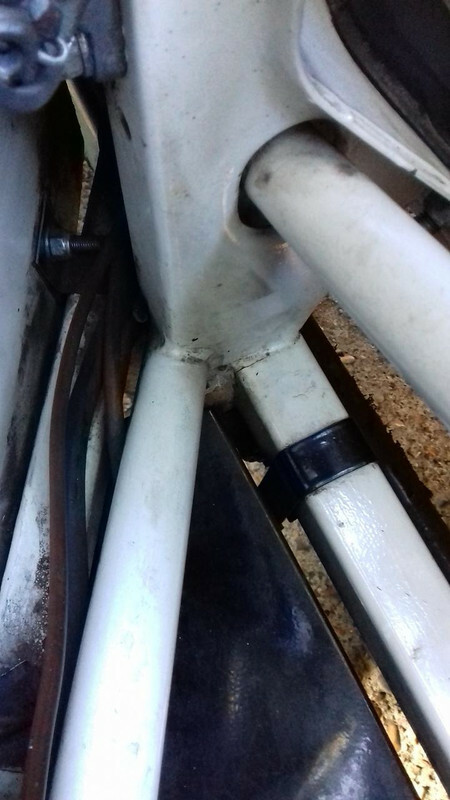 If you look from underneath the engine mounts you may see buckling / spreading of the vertical webs , Uryk offers fillet plates that box in this area on his frames to stop this. Be aware not to fit one side reproduction only , they are different to the originals in strength , E type fabs only sell pairs . #5 Re: Advice on engine frame please! #6 Re: Advice on engine frame please! Why not clean up around, and re- braze? #7 Re: Advice on engine frame please! 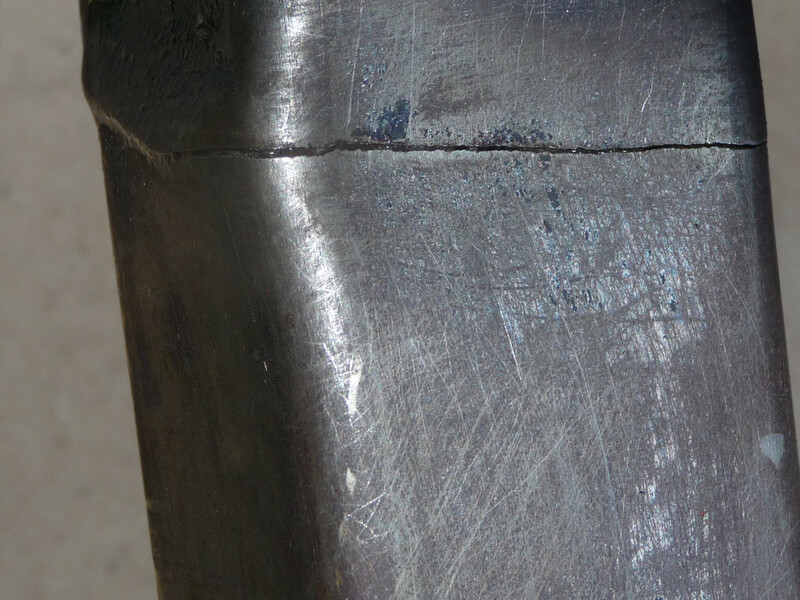 ... and folks should be aware that the joints are brazed and not welded. 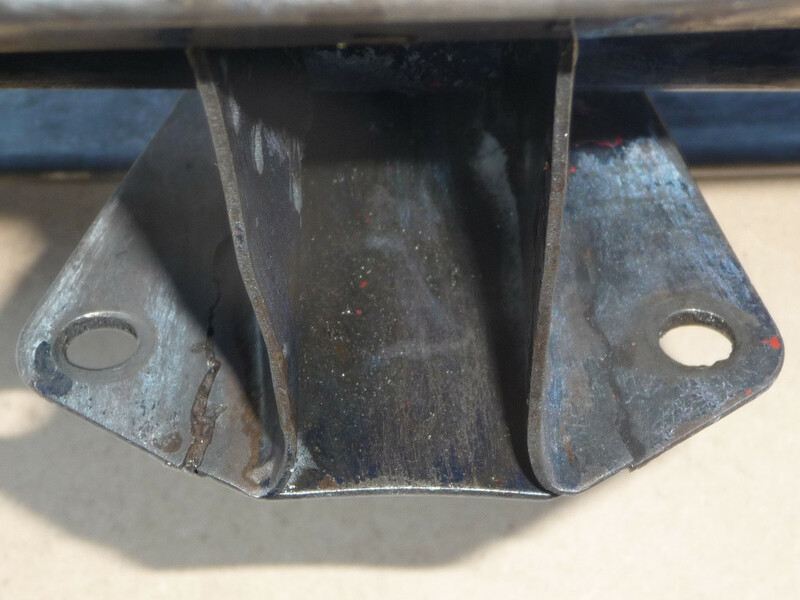 If you tried to weld on top of the braze........ all sorts of problems, the type of steel they are would not like it either. #8 Re: Advice on engine frame please! While the usual advice with the Reynolds tubing is that it cannot be repaired, this applies to repairing holes or accident damage to the tube itself. The problem you have here is that the brazing has cracked between the mild steel gusset and the tube. With the caveat that the tubing itself is sound and isn't rusted out or otherwise unservicable I would be comfortable getting someone with the appropriate skill set to repair the brazing. I have had similar cracks repaired on frames over the years without any ongoing problem. As to whether it could be done in situ that would be up to the person doing it. Again, I have had had one crack successfully repaired on the car. The advantage to removing both the frames in my view would be that you could get both frames grit blasted and this would allow you to thoroughly inspect them and ensure that they were otherwise completely sound. The other opportunity while the engine bay is stripped is to succumb to Shipwright's disease and do any other cosmetic or mechanical work that you feel is necessary. Assuming you're in the UK that could all easily be done over winter. Once repaired you would just keep an eye on the joint to ensure it doesn't crack again. Although we spend a lot of time discussing frames on the forums I don't think that they fail; I have never seen one or heard of one fail catastrophically while a car is being driven. Replacement frames only seem to be required to replace frames that are found during restoration to be unservicable due to internal rust. WRT Robey's frames I can tell you that I have used 2 sets on my own cars and at least 3 or 4 more on other cars and have never had a problem with them. Uryk's frames have their fans and are by reputation very well made. I have seen one set of them and they looked to be well constructed but were not easier or harder to fit to the body shell than Robey's frames. One of their selling points is that they are "upgraded" and stronger, but to me for an upgrade to be worthwhile it must provide some tangible benefit and as the standard frames don't seem to fail I am not convinced that the significant extra cost is of benefit to me. Last edited by abowie on Wed Oct 31, 2018 8:58 pm, edited 1 time in total. #9 Re: Advice on engine frame please! Has that actually failed through the braze, or has the tube cracked at the root of the braze fillet? #10 Re: Advice on engine frame please! That joint somehow looks wrong to me. There is definitely a crack and the tubes appear to be okay as Andrew suggests but I am not convinced that the braze is as it should be. I wonder if it has been incorrectly repaired at some point. 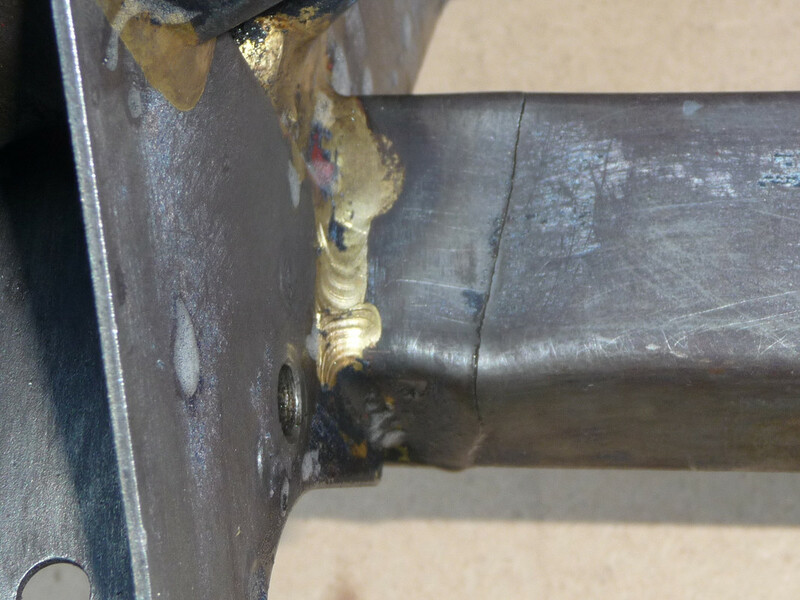 There is nothing wrong with re-brazing as long as it is done correctly by someone that knows what they are doing but I would not be surprised if you found that there was a previous poor or botched repair. #11 Re: Advice on engine frame please! The crack is through the tubing not the braze , telling us they have been beyond their elastic limit just a few times changing the steel structure in that area . Many cars will have cracked frames , hidden undetected , like mine did until i stripped the layers of paint / grime off , the MOT was 5 weeks before ! #12 Re: Advice on engine frame please! Wow. Thanks all for the advice. Think I need to look closely at whether it's the frame or the brazed joint cracked, then decide what to do! If I go the new frame route, I think I'd go for the cheaper Robey one having read the above. Like Andrew, I can't see the benefit of something that's a lot more expensive because it's an upgrade unless it does something different. #13 Re: Advice on engine frame please! Malcolm, the issue with repairing old frames is that the chances are that the metal is thin because of corrosion. Unless you are 100% sure that the frames are solid throughout, change them. #14 Re: Advice on engine frame please! I think that's what I'll do just to be sure Angus, thanks. Don't want to try saving a bit of money and end up doing the job twice! Why can't they make E Types like Lego, so you can just click bits off and click new bits back on? #15 Re: Advice on engine frame please! #16 Re: Advice on engine frame please! Hi Malcom.....most of the posts re frames have always mentioned that Urik,s frames are an exact fit.....take out the old drop in the new....with other frames needing some adjustment.. Fit relates to your tub as well as the frames. It has been my experience that some cars fit their new frames better than others. The set of Uryk's frames we attached to a new lightweight tub were neither easier nor harder to fit than others. You will still need a prybar, a drill and a good strong arm to get some bolts to line up, no matter who makes your frames. #17 Re: Advice on engine frame please! Steve, I have contacted Julian Barratt who has been most helpful. Now down to decisions after a discussion with Winspeed who pointed out the crack. At least I go into the discussion armed with some knowledge, so thanks again all.